May 30, 2015 May 30, 2015 Nefer Khepri, Ph. 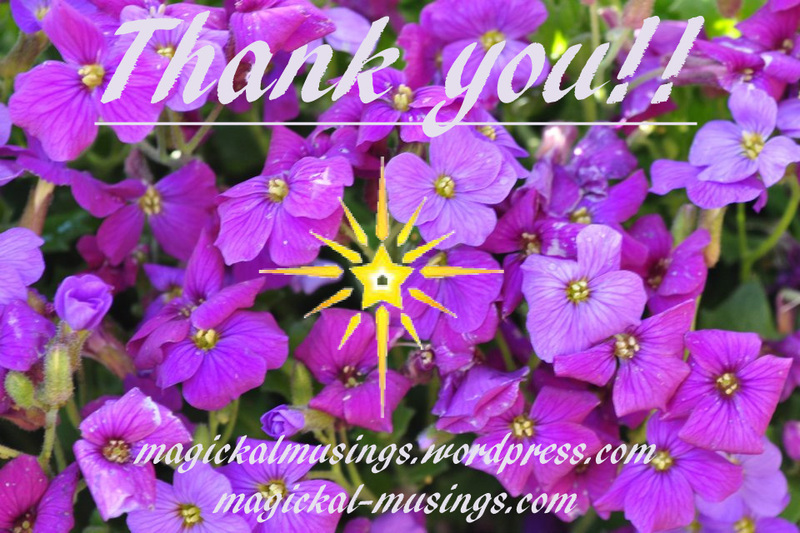 D.
First of all, I send out a huge THANK YOU to everyone who kindly followed my blog recently. I know many of you followed just for the contest, but I hope you have checked out my content and decide to stick around. I have something very intriguing I’ll be posting this coming week. I tooks some photos on my anniversary back on the 22nd and some weird stuff showed up. Don’t you love when that happens? Meanwhile, without further ado, here are the 3 lucky winners. Winners were chosen at random & assigned a number based on the order in which they followed my blog. I then used Random.org to generate 3 random numbers between 1 and 2,640, which was the total number of followers my blog had at the time of the drawing. Each person receives a free 3-card Tarot or Lenormand Reading from me (their choice) to be delivered via email. Winners are responsible for contacting me via email to claim & schedule their readings. The links above take you all directly to their blogs so you can check them out if you like. Mazciel, Dark Bookworm & Sapphire Li, please contact me at IsisRaAnpu@gmail.com to claim & schedule your free reading. Let me know if you prefer Tarot or Lenormand cards to be used. You are limited to asking only 1 question and it cannot be a compound sentence (avoid using conjunctions: “and”, “or”, “but”). Once again, I thank everyone for entering my contest. I will be holding others. What do you all think about FREE tarot decks & you only reimburse me for shipping? Let me know if you like that idea by sharing this post via the share buttons below. I have a LOT of decks that are in need of good homes. Like 100. No kidding! The lovely photo is courtesy of my good friend, Ruth Ibbotson (C) 2012. Upcoming post: weird energy appearing in anniversary photos. What could it be? Debunkers are welcome to comment because I really want an explanation. Previous Happy World Tarot Day! Contest for 3 Free Readings!